On the occasion of the recent inaugurated exhibition ‘Chamber and model. Photography of models of architecture in Spain, 1925-1970‘ in the ICO Museum we have had the opportunity to support a small conversation the commissioner of the exhibition, Iñaki Bergera on this first honoring realized in Spain to these two systems of representation of the architecture. “The cities, the monuments, the objects and prominent figures photographed throughout the years have been disappearing, but his images remain inalterable thanks to the miracle of the photography, which reaches this way his quality of the most useful certificate of the past, of a credibility and loyalty superior to that of any other one it forms expression”. We hope that you enjoy the interview. What will visitor find in this exhibition? 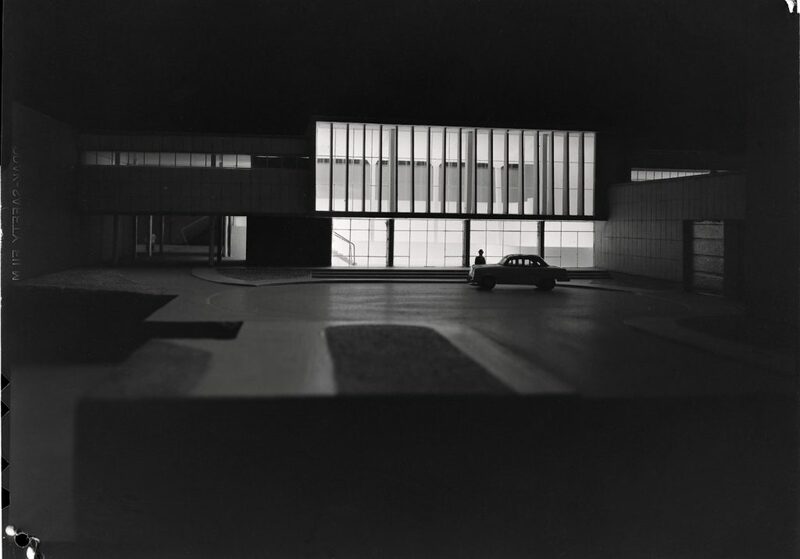 It is an exhibition of photographies of models of modern architecture in Spain. Close to the principal body of the sample, there can be seen also original front pages of magazines of epoch, photographies of models that persons include, álbumes and leaves of contacts, the audio-visual one and a representative number of models that allow to confirm the photography with the original model. For what photographies of models like explanatory approach? 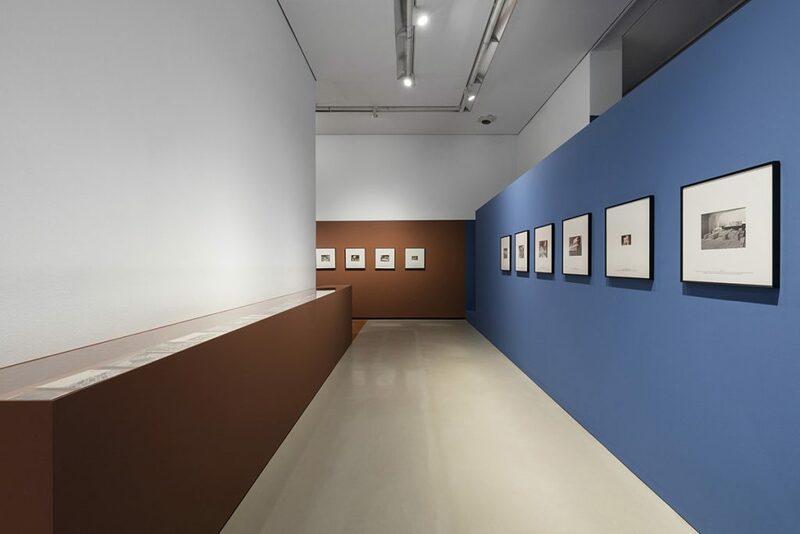 This exhibition is somehow a continuity of the one that took place in the same headquarters of the ICO Museum in the summer of 2014 dedicated by the first time and of generic form to treating this topic of the photography of architecture in Spain. 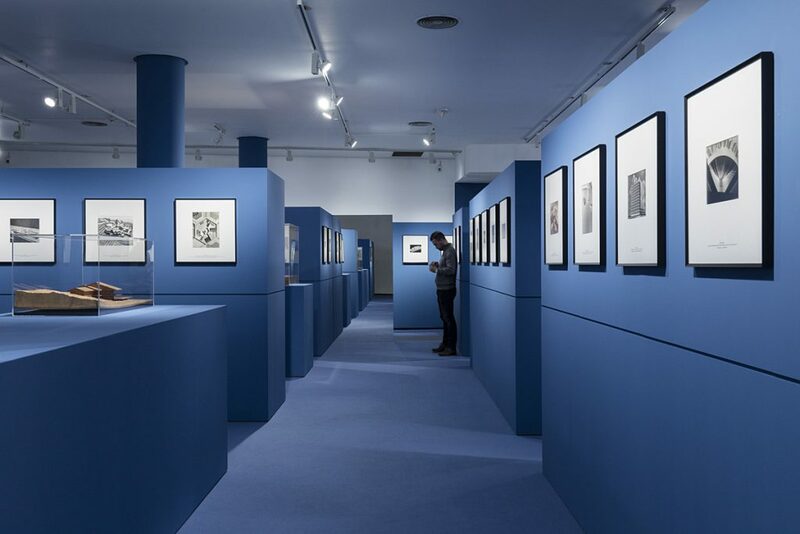 Inside the ambitious and wide documentary work and investigation carried out from the project of investigation FAME, “Photography and modern architecture in Spain, 1925-1965”, there arose parallel topics that could demand a specific attention. We realized that in almost all the files and information collections of photography of architecture photographies of models were appearing often and thought that this one was an attractive topic to put on the table. A priori it might look like a matter of little crossed but as the exhibition demonstrates and the texts of the catalogue approach it is a question of a fascinating subject matter and of soaked depth. One tries to produce a joint honoring, for the first time, to two systems of architectural representation, the models and the photographies, and to explore the rich visual and conceptual narratives that the images of the models, images of images we might say, they provoke. Many of the exposed photographies it shows projects that “aspire to be, dreams of the architects (sometimes frustrated)”. Why have these been chosen opposite to others that have lasted to the present day? I do not believe that some prevail on others, which correspond to models of projects not constructed on those who yes it were. In case of the above mentioned we can say that the model made finally real and therefore the implicit conceptualization can compare in the own model with the constructed work and, which is more interesting, the way of portraying the model in miniature and previsualizar therefore the ‘aspect’ that can manage to have the building with the photographies of the constructed work. In all this it gets lost let’s say something of the magic – illusion, dream or since let’s let’s want decirlo – that any representation goes implicit. Nevertheless, in case of the not constructed projects – for treating itself for the most part about offers not rewarded for contests – we remain in an imaginary precedent, in a level of conceptualization – visualization that takes implicitly a few major interpretive doses of the nature of the project, his aspect and his desirable implantation in a certain place. It is surely richer, at least from the speculative point of view, to go deeply what these architectures might have managed to be and to meaning in the set of the statement of our modernity. Why the determination in showing copies in (original) paper of epoch, in spite of the fact that often he supposes it working with photographies of 5x5cm? It is certainly a determination because somehow we want to claim disciplinalmente the value and the autonomy of the photographic thing in the frame of the architecture. Without the contest of the photography, the modern architecture could not have managed to be what is, for his documentary and diffusive paper, and therefore we must recognize him a major protagonism and dignity. In his moment, those photographies were diminishing to mere documentary instruments and scarcely they were carrying a recognition of the authorship: they were objects of consumption and exchange, of using and throwing we might say. The copies of epoch that have come to our days, often injured and spoilt, are in occasions the only pieces on not having arranged of the original negatives. In addition, the interpretation or the resetting that the photographer of the negative does at the moment of positivar – though it is in a format of contact 5×5 – awards also to the copy of epoch his value of originality and authorship. In last end, we think that it is not bad to claim for these original pieces it departs from the own aura of the artistic work. The photographies of Francesc Català-Roca or of Paco Gómez take it as his consecration as artists but it would not be just not to recognize her in other photographies though they are a work of industrial photographers. The important of the photography is not what he presents but what represents, not what it documents but what it reveals and reveals. If we contribute with these actions, therefore, that the photography of architecture is valued – so much on the part of the architects as the photographers-, be catalogued and remain already we might give satisfied. It is a task that is urgent since many files are starting getting lost and deteriorating. The FAME project initially includes the period 1925-1965. What new advances have in the investigation been realized? 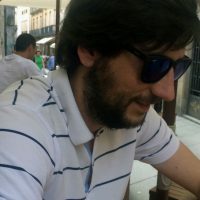 Yes, it is a question of the years that the historiography has come assigning to the Modern Movement in Spain, from the years of the forefront before the civil war until the revisionist years of the crisis of the International Style. Advances? We can affirm that FAME has been in yes the same advance in the investigation since up to the date it had not been carried out in Spain – and I dare to say that neither in other countries in relation to his own conjunctures – a work of these characteristics with the ambition with which FAME has operated. Somehow, the project has laid the foundations documentary, methodological, theoretical and critical for, from here, to continue investigating – surely of way already more individualized – in the relations between architecture and photography in Spain. Besides both exhibitions and his respective catalogues published by The Factory (2014 and 2016), we have published with the Arquia Foundation an important book of texts at the expense of the investigators, an anthology of texts with the Abada publishing house and the minutes of the international congress of closing that took place in the Museum of the University of Navarre last autumn. All this constitutes a luck of referential and interpretive map for, as he was saying, to continue working and going deeply from here into this exciting subject matter. What paper did recover the photography in the adventure of the Spanish modernity? “Mythical images: those images that they guard in this common recollection it have managed to be, in the best sense of the myth. They have personified the first formal code of a modernity, stranger, imitated later and finally recognized, storied and re-edited after two or three generations. Of a limited but intense episode of our architecture we have still had images that transmit a legacy of form and construction architectural, and that go beyond: they communicate the enormous will to be modern”2. What international influences will we be able to estimate? Regarding the photography surely not excessive or at least not meaningful. 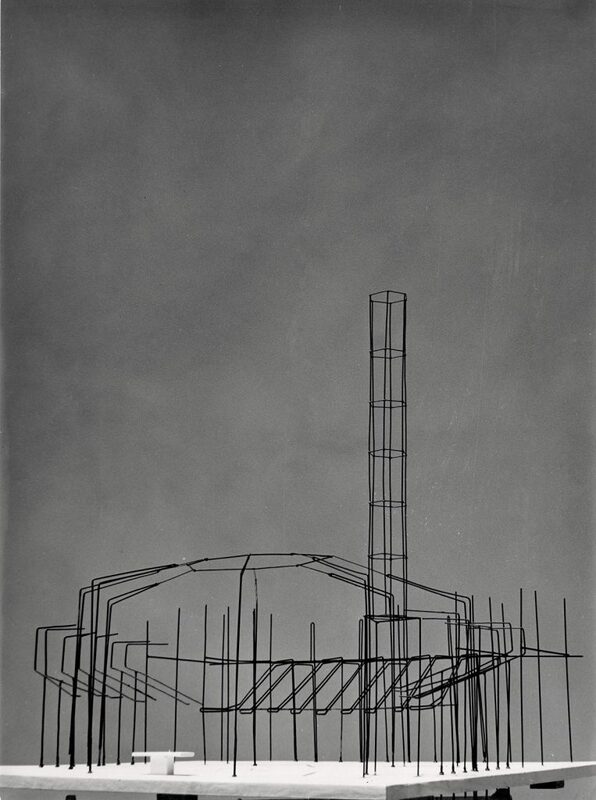 The majority of the photographers who were working with the photography of architecture – and even more with the photography of models of architecture – they did not have the technical qualification that the big teachers of the discipline might have worldwide as Julius Shulman, Ezra Stoller or Hedrich Blessing. Except photographers like Català-Roca or Pando, the majority of they they were operating of more handcrafted and uninhibited, intuitive form we might say, without be leaving to go for the visual international cánones. This situation is exactly, together with the nature of our architecture, which awards to the photography of modern architecture in Spain a few own signs of identity. What own names were the most relevant agents in the photographic activity of the exposed period? There are many own names and of many of them nothing is known practically to biographical level: there remains great for doing in this sense. But for relevancy, there would be necessary to mention surely to the photographers Francesc Català-Roca, Kindel, Juan Pando, Luis Lladó, Paco Gómez, Maspons and Ubiña, Margaret Michaelis or Férriz. What new approaches do stay for investigating in the field of the photography of architecture? The term ‘focuses’ it is in this tremendously ambiguous and metaphorical context. How to see with new eyes the way of looking at the architecture? It is necessary to depart from the verification from that, for the power that it has conquered, the photography of architecture also can have and had of fact a perverse or ‘got out of focus’ use, when it happens to turn into an end in yes same. I refer to the moment in which the architecture is conceived substantially as an object, a model icónico, thought to be photographed. This happened already during the apotheosis of the International Style but since we know it is a way of doing that it has characterized these recent years of the change of century. In addition, in general terms, since users of the architectural space we all have experimented on some occasion the imbalance that provokes almost always the physical experience of the space in relation the two-dimensional representation that his photographies move us a priori. In sum, the valuation of the photographic thing, in architecture, has to go accompanied of a critical, rigorous and sensitive sense conquered by means of the formation and the learning of the photographic language. Likewise, the photography of architecture, as the own architecture, has to understand that it is not possible to circumscribe to the object in yes, but it must extend his ‘area’ towards the context, urban or naturally, and towards the recovery of a few certain doses of credibility and veracity that return to put the user in the central paper that corresponds to him. What X-ray photography might it do to us on the photography of architecture nowadays? In the professional area I perceive a blunting and a certain saturation. The democratization of the way and the high competitiveness they have impoverished the collective speech being difficult, though not impossible, to there mean and to be had a different and pure look in relation to the architecture. The urged reinvention of the way has forced many people to find in the utilization of drones or in the image in movement a luck of added value. For my part, I value enormously those professionals who resist to the visual dictations of the commercial thing and they entrench stoically in the creation of a few contained, fragmentary and personal photographies. In this age of the hyperinformation and where it gives priority to the visual thing to what should we pay particular attention? With what eyes of should we do it? We should practise surely first a certain visual abstinence. The visual blunting provokes paradoxically a luck of blindness, an atrophy of the look that does that the taste and the sensibility gets lost. To understand itself, we should leave the visual over-excited zapping to go on to a luck of programming à la carte and I do not refer strictly to the television thing – where it would advise the practically total blackout – but to the self-control that we must exercise on the bombardment of images that surround us: we are what we eat or what we read but also what we see, then let’s educate the selective look. We are jackasses, was saying Le Corbusier, but jackasses that they see.. Finally we share the presentation of the exhibition in the Museum. “The quality of our architecture was not conquered from blow of negatives and impressions in gelatine of silver. They were not the photographers who tendentiously directed the visual sensibility that the constructed architectures had to evoke. 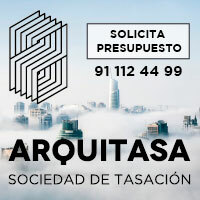 And nevertheless, without his contest – that now we want to claim again-, without the activity enthusiast, it commits an outrage and without prejudice of those photographers, the modern architecture in Spain could not have forged his nature and identity, transmitted image to image from the teachers to the present day”. We be grateful for Iñaki Bergera his time and predisposition with this space. Interview realized by Alberto Alonso Oro, architect and publisher in veredes. 1. López Mondéjar, Publio. “La fotografía como fuente de memoria”, page 24. Well-read speech forthwith of his public Receipt on March 30, 2008, in Real Academia de Bellas Artes de San Fernando. 2. Isasi, Justo. “Por un puñado de fotos”, Arquitectura Viva 166, 2014, page 50. 3. Extract of the introduction of book “Fotografía y arquitectura moderna. Contextos, protagonistas y relatos desde España” belonging to the collection arquia/temas of the Foundation Arquia, 2015.